It was indeed a great experience to meet so many different people from around the world who came to attend the JandBeyond (JAB) 18 Conference in Cologne, the conference took place at the Maternushaus Hotel in Colognes, from 11-13 of May 2018. As a tradition of the conference, there was a pre-event that took place at "Paeffgen" where beer lovers had some good time together. However, I and some of my friend opt for a Turkish Restaurant downtown Cologne. The JAB is a great place to meet old friend, make new ones especially share and learn new things about Joomla Project, and what is has to offer in future. Despite Joomla having various events like the the popular Joomla Days, JAB has been one of the most interesting of all; which takes place every year in different countries. The JAB18 in Cologne was my second attendance of such conference, with the first in Krakow, Poland. JandBeyond is basically an international conference for Joomla Developers, administrators, site integrator, students and even Joomla Business owners who come from around the world to meet at a venue to network, learn and share what Joomla has to offer. The most recent of JAB was in Cologne, Germany. This conference is in it's 9th year, and the conference attracted at least 200 Joomla users in the Joomla Community from different countries and continent.This Conference brings the best brains on Joomla, including founders, co-founders, and early users of Joomla to share their experiences with new participants. 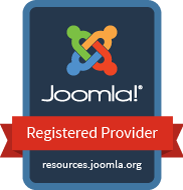 One thing that keeps Joomla growing is the community. At Joomla events like the JAB, everyone sees him/herself as family and hence, the Joomla Love is shared. You enjoy the strong sense of belonging which makes you feel at home and because you are now carried along, the event becomes fun! Additionally, everyone you see at a Joomla event has something to offer which benefits others. Like i said earlier, the J-Love is shared irrespective of where you come from. One fact is that you can never be alone at any Joomla event especially JAB, because; Joomla does not understand "being alone or doing things alone" - it has and will forever be togetherness! There is one thing for sure; you can't attend a Joomla! Event and leave without learning new things. The JAB comes with many things to learn, discover and share. Sessions are conducted by international speakers who are not only experts on Joomla but in the whole ICT and business world, so you tend to gain more from different angles when you attend a Joomla Event. It was not only attending session at the JAB, we had a wonderful time on the boat ride with one of the finest and delicious buffet dinner. ... the People where very friendly right from the airport, down to the city. Asking some people how to get to my hotel, i could see how happy they were to help an obvious stranger to their beautiful city. Being an African from Nigeria but living in Asia- Malaysia, it is almost now impossible to ever live for a day without eating RICE. But seriously, i missed the Bread and Cheese experience, thanks to my good friend Benjamin Trenkle. ... there was also a tour of Cologne, organised by David Jardin - Well appreciated tour! ... I also did not forget to get my lovely Wife a gift from Cologne, what could have been the best gift to get her was obviously a Cologne :) So i got her the original Cologne from the inventor shop in the city of Cologne. She loved it! It was indeed an awesome experience to be part of the Conference, and i am looking forward to the JAB19, where the JandBeyond Conference will be 10 years. Special Thanks to to Joomla for giving me the opportunity to attend the JAB via the JET program. The event was great, it was educating, entertaining, and most of all Joomla Love was shared. First published on Linkedin on July 9, 2018 by AK SHEHU.